A high grade 15lb braid hook link material housed within an quality dispenser with cutter. These silicone sleeves are a must for protecting knots or for sliding over links, swivels etc. The first tungsten flying back lead from Taska has landed, with a size to weight ratio that is rivaled by none, it can be clipped on the mainline behind the rig prior to casting or simply dropped of the rod tips when margin fishing for line shy carp. Line glides through this new material with ease and the smaller sizes are ideal when fishing in weedier waters. 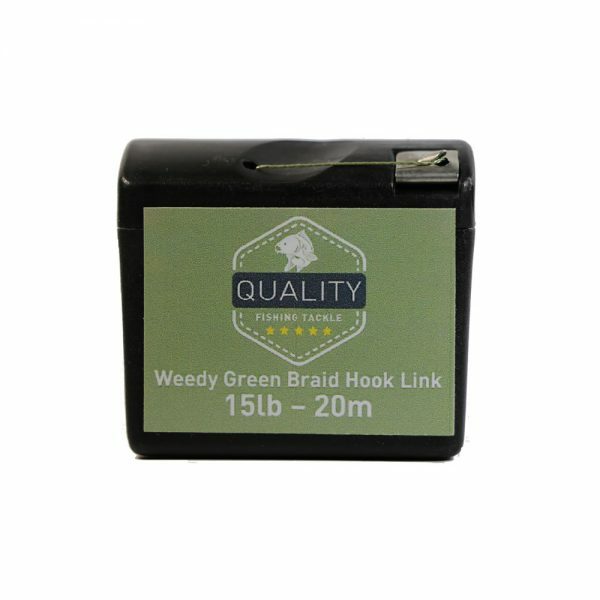 A high grade 15lb coated dineema hook link material housed within an quality dispenser with cutter.